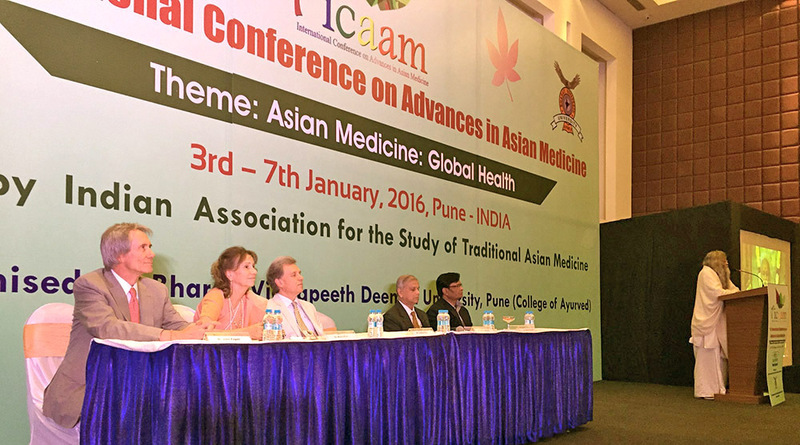 Together with his wife Karin Pirc, M.D., Dr. John Fagan, and Dr. Girish Momaya, Lothar Pirc was invited to speak at the International Conference on Advances in Asian Medicine. The scientific conference was held under the auspices of the Indian Association for the Study of Traditional Asian Medicine and was attended by 800 health professionals. In addition to the presentations, there were fruitful discussions with colleagues from many countries and with leaders from the Ministry of AYUSH – the Indian Ministry of Ayurveda and Yoga.